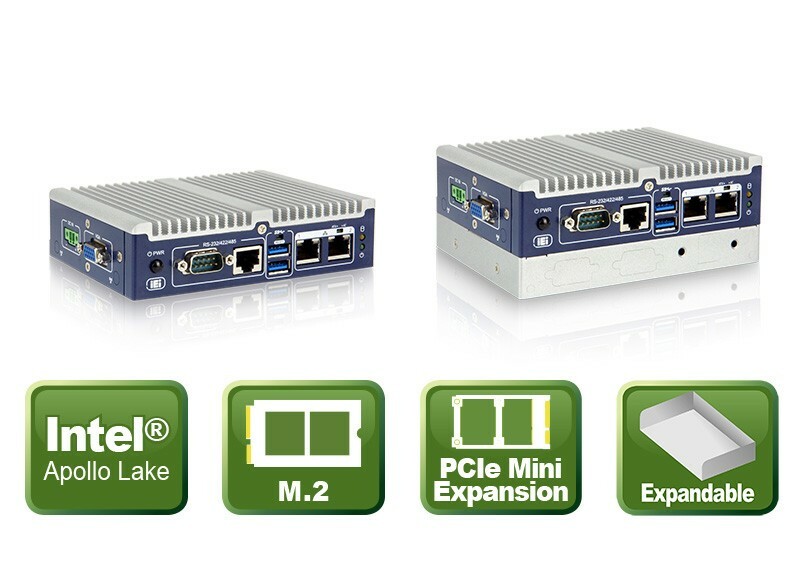 Ultra compact, modular Apollo Lake embedded PC with various interfaces for flexible data acquisition and smart automation. The interaction of sensors, actuators and controls forms the foundation for smart automation in factory environments such as robotics. In order to be able to acquire sensor and machine data flexibly, it is necessary to combine interface diversity and performance in confined space. 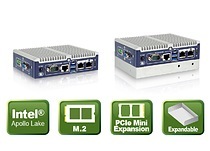 ICP Deutschland has achieved this with the new ultra-compact ITG-100-AL Embedded PC through vertical modularity. Equipped with Intel® Atom™ x5-E3930 Apollo Lake SoC and 2GB pre-installed DDR3L memory, the palm-sized embedded PC has the following interfaces as standard: Two LAN GbE, one VGA, two RS-232/422/485 and two USB 3.0 interfaces. A second modular housing level, which is mounted below the base device, provides additional interfaces or extended mass storage space. Only a few steps are required for this, as the additional housing level is provided with cut-outs for two USB 2.0 and two RS-232 interfaces as well as a 2.5" SATA 6Gb/s SSD drive bay. Furthermore, a MicroSD and an eMMC 5.0 slot as well as 8-bit digital I/O can be used optionally. The ITG-100-AL can also be extended via the available M.2 and PCIe mini slots. A wireless communication via WLAN and Bluetooth™ is also possible installing a M.2 2230-based WLAN module, two RF cables internally and two antennas externally. The extended temperature range from -20°C to +60°C and the DIN rail and wall mounting options offer flexible application scope. Upon customer request, ICP Deutschland assembles the ITG-100-AL Embedded PC with industrial storage media, expansion cards and led out interfaces as ready-to-use system.